Seems no surf bag is perfect. When you’re plugging the surf, carrying the tackle -- big, hook-abundant lures and everything else necessary -- is awkward. Look, I pack light. That’s my thing. And it’s still awkward. But you get the best bag you can. The L.L. Bean Surf Angler's Plug Bag features four plug tubes to hold “an impressive number of lures,” the company says. 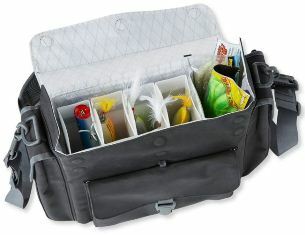 The main compartment also includes a side storage area to hold soft-plastic baits, leaders, snaps, clips and so on. Side pouches can hold similar things. The top cover closes magnetically instead of with Velcro. 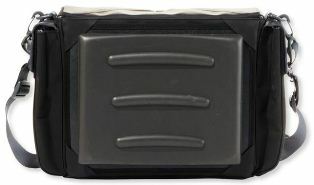 A hard, molded back panel is meant to provide support. A three-point harness keeps the bag in place on your body. The bag is made from a hard cloth that hooks won’t snag on. If you’re familiar with other L.L. Bean products, you’ll take the company’s word that this bag is made with high quality. 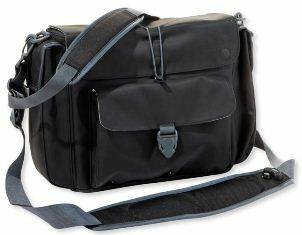 The bag is meant to be comfortable and provide great storage, the company says. Seems no surf bag is perfect or provides complete comfort and flawless storage. But this could be as close as it gets. For more details, visit L.L. Bean’s website.